Gods should no longer fly into the air and die if they become stuck inside walls. Now gods should find the closest safe position and be placed there if they somehow do end up in a wall. Fixed an issue where stance changers passive meter cooldowns didn't match their actual cooldowns. Fixed an issue where daily bundle prices didn't visually update when coupons applied to them. Fixed an issue where party leaders would get an incorrect "invite declined" popup after invites were accepted. Fixed an issue where god tooltips would remain on screen too long, covering UI on new screens. Clan Rosters will now show avatars. Fixed an issue where all kills appeared as red team kills. Fire Giant UI Icon should now properly appear on gods who are buffed by it. Skip Forward keybind has been fixed. Particle FX for which team killed a neutral camp show be more visible now. Fixed an issue where spectator would see 2x bottom bars overlapping upon loading into the game. Fixed an issue where gold fury and fire giant UI looked incomplete until they spawned the first time. Fixed an issue where you could not scroll through all items in the item builder. Fixed an issue where players got no UI feedback when trying to buy/rent a god they could not afford. Fixed an issue where players could get stuck in the tutorial. Fixed an issue where sometimes players couldn't see their allied gods or their pedestals. If a god's pet gets the last hit on an enemy god, the pet's owner will now properly get the power buff reward. Fixed an issue where the End of Match Lobby would show incorrect information or not enough players. Fixed an issue where viewing the adventures leaderboard could crash the game. Fixed the missing FX on the Cursed King Cernunnos skin. Fixed an issue where lobby animations sometimes did not play correctly. Fixed an issue where bird bomb combo would not work as intended if he had Evolved Hide of the Urchin. Fixed an issue where Ra's model would turn strange directions while moving and basic attacking. Fixed an issue where The Morrigan's Item Build would be missing when she uses her Ultimate. Changed The Morrigan's ultimate so that she does not trigger death effects when reverting back to The Morrigan. Fixed an issue where Vamana's ultimate would not be extended in duration from taking hits. "While the offensive boots have their pros and cons and see quite a lot of use, the utility boots struggle to compete. 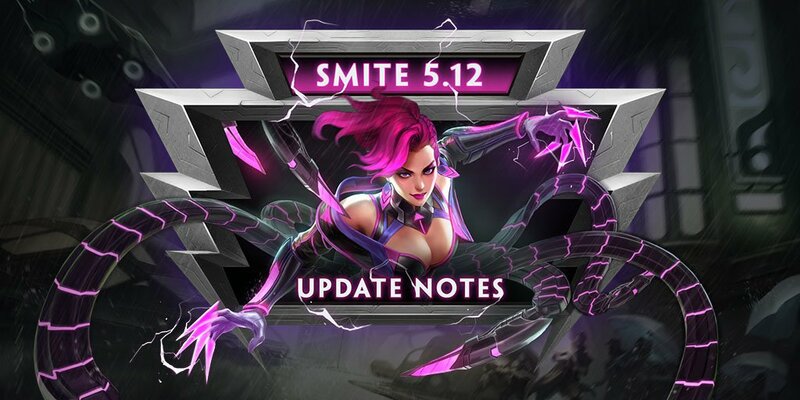 We are are increasing the base survivability Reinforced Shoes bring both upfront and in extended teamfights." "Traveler's Shoes and Talaria Boots are also seeing a bump to ensure they feel like an impactful utility choice when compared to their more offensive counterparts. With a slight bump in damage these boots should contribute enough damage for players looking to roam around the map fast." "In this patch we are looking to help Magical carries which have been struggling in the later stages of this split. Demonic Grip is a core item that provides a large amount of Attack Speed and Shred, but without enough power behind it it is difficult to bring into a build until much later. With a boost to the power it provides it is a much more attractive choice." "Telkhines is the late game powerhouse item for Magical carries, but the Power and passive was not bringing enough to really highlight Basic Attack damage for these carries. We are increasing both the Power this provides as well as the passive to really allow Magical carries to pack a punch late game." "Artemis has been showing off her late game carry potential this season, using Tusky and her ability to pressure her opponents to great effect. While susceptible to ganks, the Crowd Control immunity from Calydonian Boar really allows her to kite her opponents for support to arrive if she doesn't turn the fight on her own. We are lowering the CC Immunity duration to lower how long Artemis can play without worrying about Crowd Control from her opponents." "Athena is the most contested god in the entire SMITE Pro League. She has been picked or banned in almost every game, with a relatively balanced performance. Athena is a popular pick but not necessarily a dominant one, so we want to be careful with her adjustments. One key aspect of her kit that pros seem to use more often than the average player is her late-game ultimate. They will often dive with Athena, drawing out a lot of cooldowns and poke damage, then return to base, heal, and ult back into the fight. We want to slow down this specific strategy to help curb her power level only at the highest levels of play." Decreased Base Damage from 350/450/550/650/750 to 350/430/510/590/670. Increased Cooldown from 110/105/100/95/90 to 110s at all ranks. "Baron Samedi arrived to the party in a grand fashion! We are specifically looking to bring down the amount of damage he is dealing through Vivid Gaze and when Life of the Party connects. Combined with a few other bug fixes that will also lower his damage output (such as not gaining 10% Magical Power while consuming his Brew) he will rely more on the control he brings to the fight than his currently high burst. We will continue to watch his performance after these nerfs to really get a feel for any future adjustments." "Camazotz is getting a bump to his mana pool and costs as well as his sustain from Essence Drinker. These changes will help Camazotz stay out and engage his opponents more frequently without needing to return to base as early." Increase Base Mana from 220 to 240. "Chernobog's global slow has really enabled him to excel at high level play, allowing teams to engage or flee under his watch. We are making the slow slower to get going, allowing enemies more room to counterplay this effect. Vicious Barrage is also having its attack speed reduced keeping his late game power a bit more in check." "This grumpy dwarf is getting a few small buffs to help him play more smoothly. Fafnir's ultimate requires him to use all of his abilities to get the most out of the ability, which can cause big mana problems for him. We are decreasing the mana cost of two of his abilities to mitigate this. He also had slightly lower base HP5 than the rest of the guardian pool so that is being brought up to a more normal level." "Mercury both excelled at early game clear speed and late game carry potential, causing him to really run up the ranks. We are reducing the base damage for the early ranks of Made You Look to keep his clear speed more in line with his late game potential." Okay, that Da Ji skin is clearly based on Sombra.